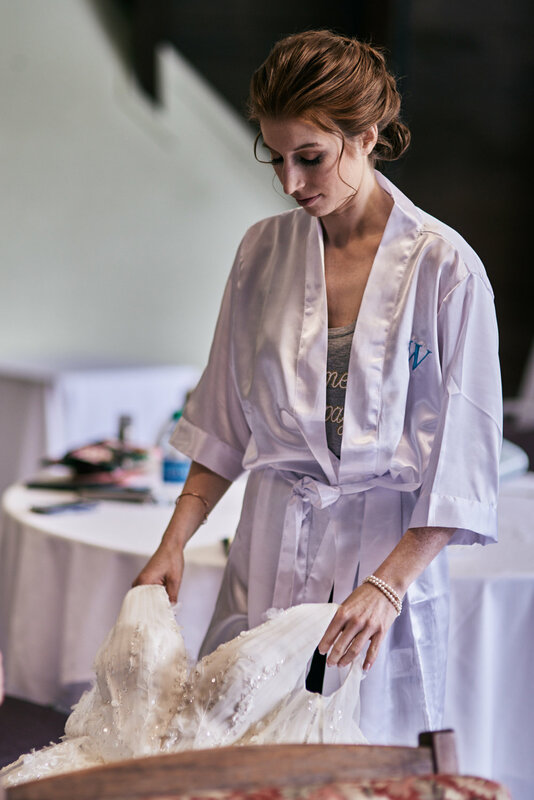 The bride and bridesmaids got ready in the bridal suite at Waterville Valley Conference & Event Center. Just before the bride was about to put her dress on, the bridesmaids all left the room so we could stage an “first look” with them on the stairs heading down to the event space and bar area. 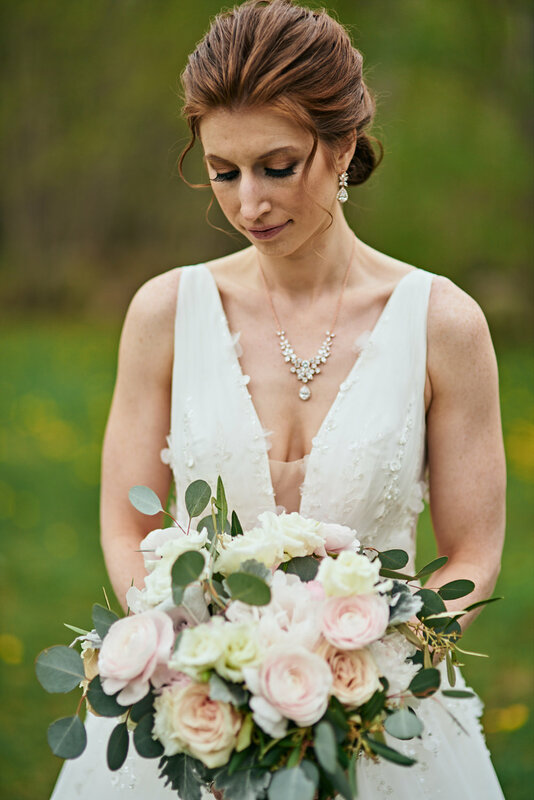 The brides mother assisted with her getting into her gown and all the finishing touches, including her jewelry, veil and shoes. The brides dress was an elegant a-line with a twirl-factor of 10. The deep v-neck, straps and waistline were all decorated with delicate fabric flowers with a hint of sparkle. 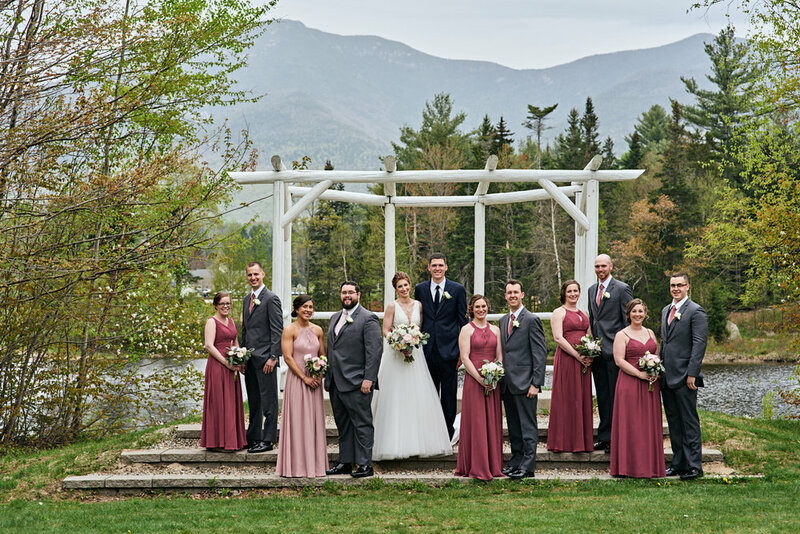 The bridesmaids all had custom floor-length dresses, each with their own neckline to their own tastes ensuring the most flattering looks for each woman. 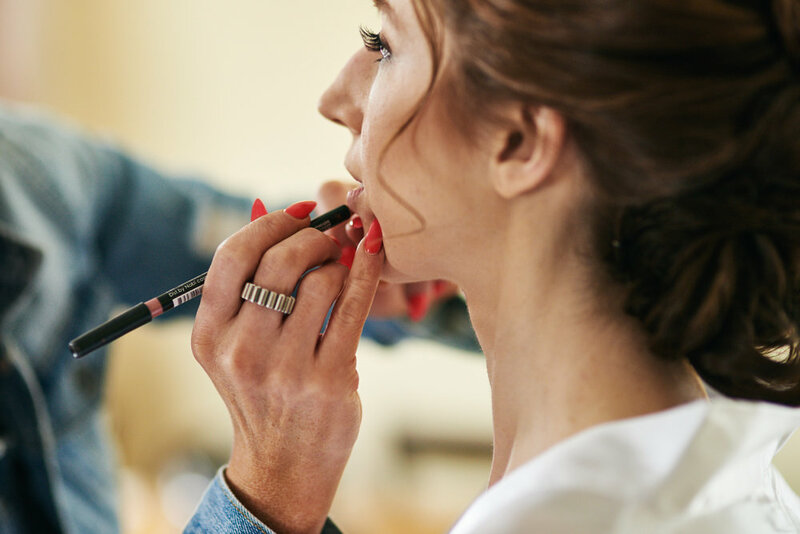 The Maid of Honor stood out as her’s was a different shade from the others in a pale pink. All the other woman were in a beautiful darker shade of red/maroon. The bride and groom’s “first look” went off without a hitch though we were traveling to another location and trying to avoid the impending rain drops that were forecasted. 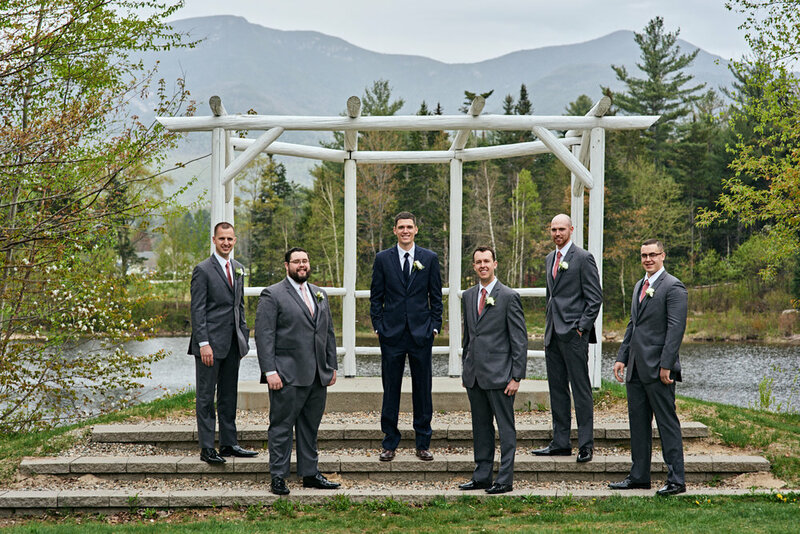 I staged the groom first at The Osceola Arbor facing the lake and mountain view. 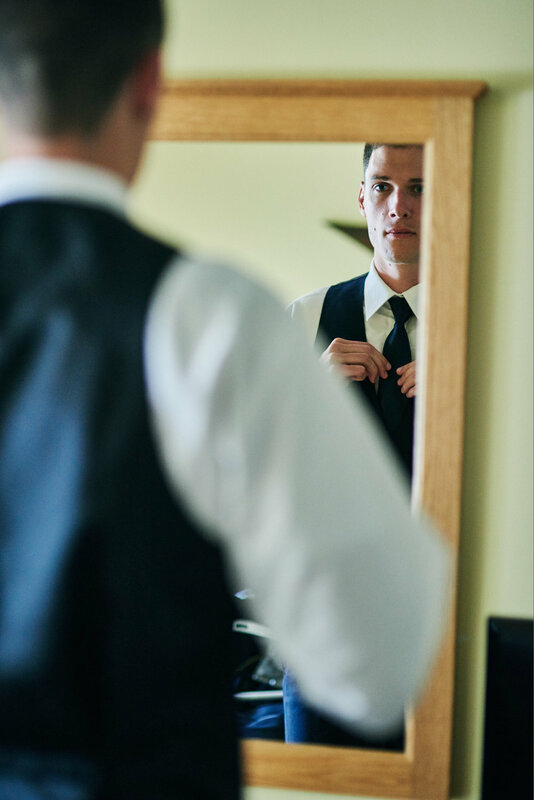 Once the bride arrived, I had her take her position and told the groom he could turn around and see his bride for the first time. It was a beautiful and genuine moment. Once the two had a moment to take the moment in, we then did some bride and groom portraits while awaiting the arrival of the wedding party. Posing these two took very little effort because the love for each other was so apparent. We had also had a chance to work together during their engagement session which helps so much with the anxiety or nervousness of getting your photo taken. 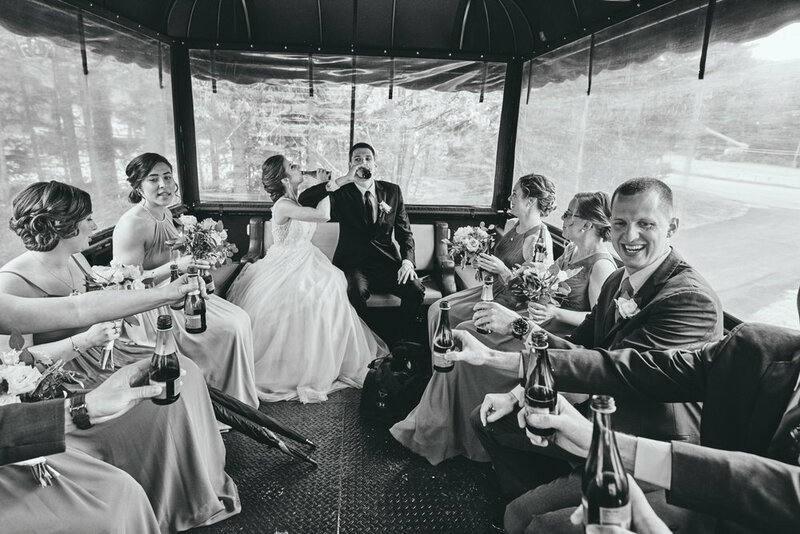 We didn’t have to wait too long for the wedding party to arrive at The Osceola Arbor on the trolley. We were able to get a majority of the group photos and individual photos before the rain came. 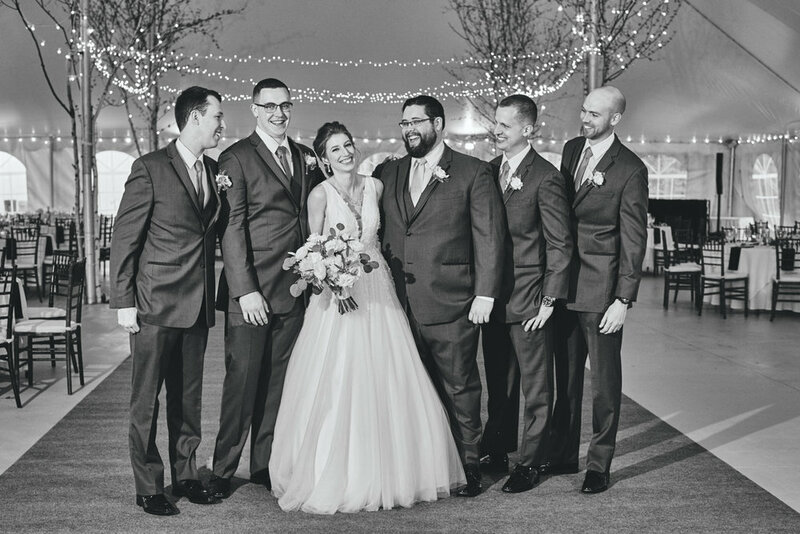 At that point, we all jumped onto the trolley and made our way to the reception tent. 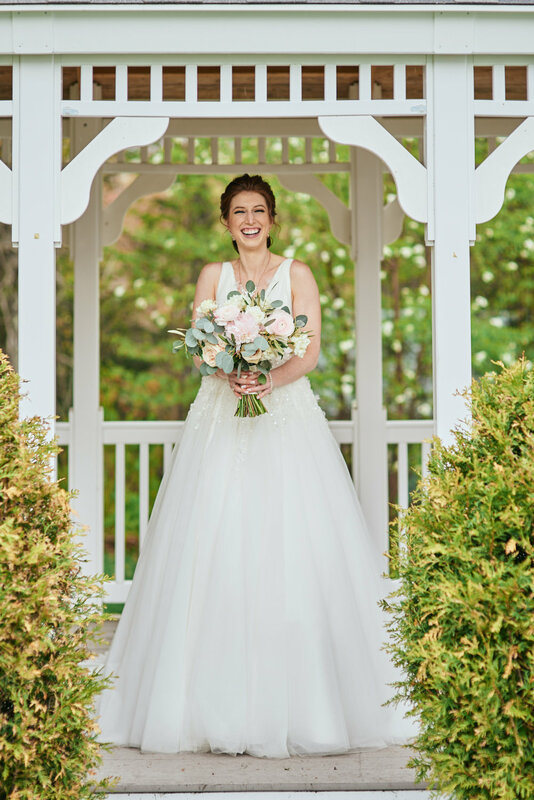 I captured a couple photos of the bride under the small gazebo that is on the lawn next to the reception tent. 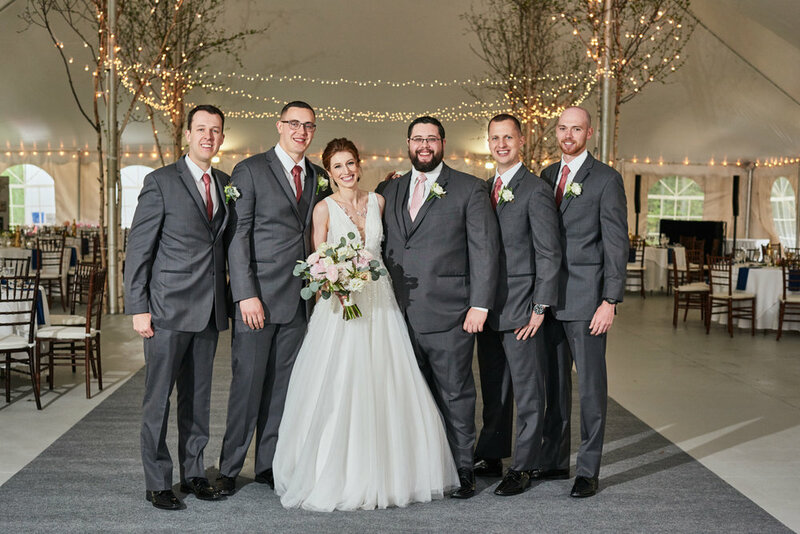 After that, we did family formals and more wedding party photos in the beautifully decorated reception tent itself. 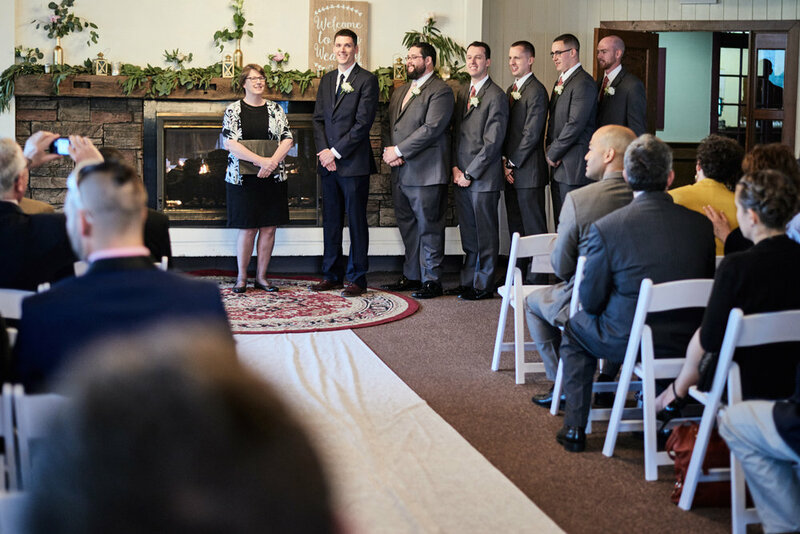 The space inside the Waterville Valley Conference & Event Center is a fine alternative for a wedding ceremony in the event that there is rain on your wedding day. 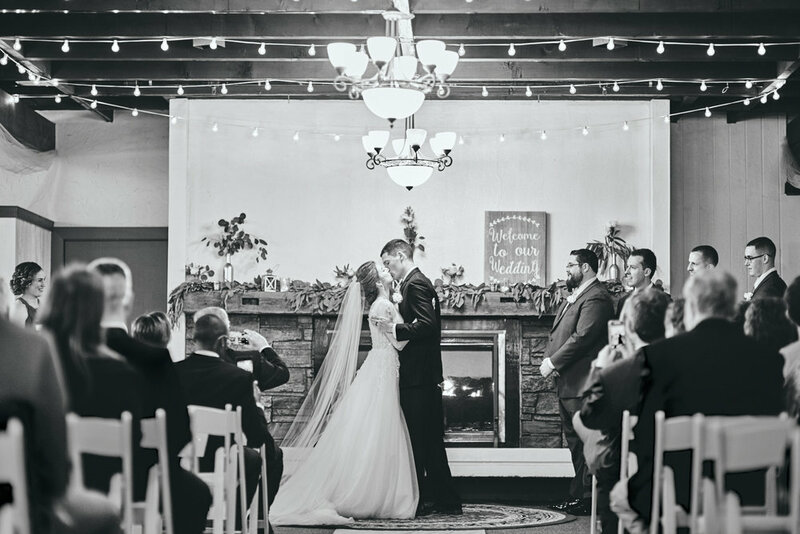 The fireplace is decorated beautifully with fun, rustic style Edison bulbs highlighting the beams on the ceiling. 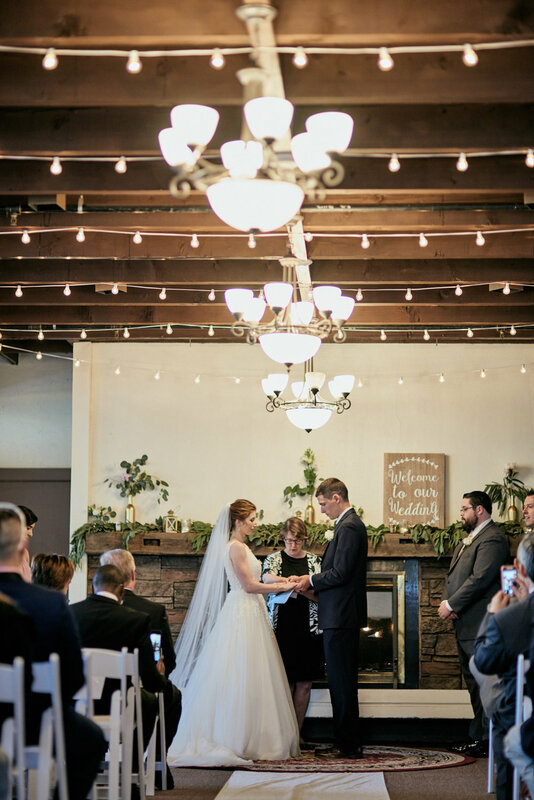 One side of the room is almost entirely made of glass with huge picture windows allowing a wash of natural light to pour in and light the ceremony space. 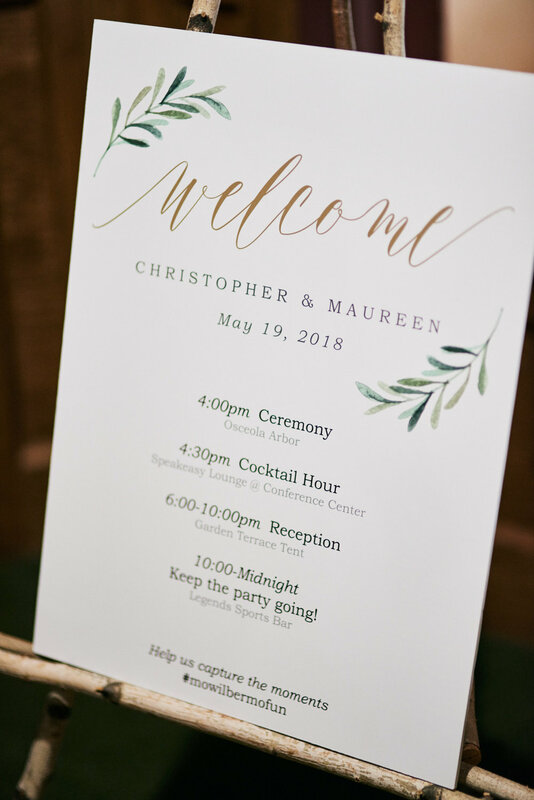 The details of this wedding were simple and elegant with eucalyptus leaves as a reoccurring theme. 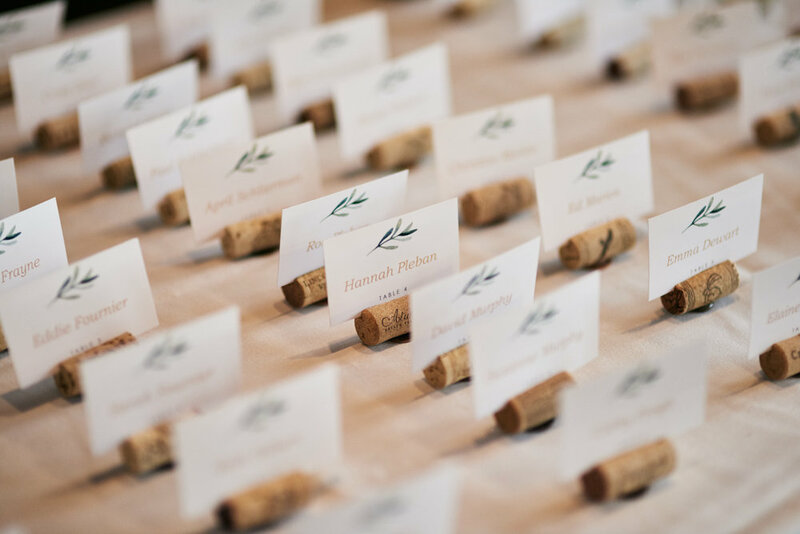 The table assignment place cards were all laid out in the cocktail hour space (in the bar adjacent to the ceremony space) in front of a roaring fireplace and all standing in order attached to wine corks. Inside the tent was the reception space. Big and bright, allowing plenty of room for all the guests, the head table, guest tables, gift table, dance floor, memory table and wedding cake table. 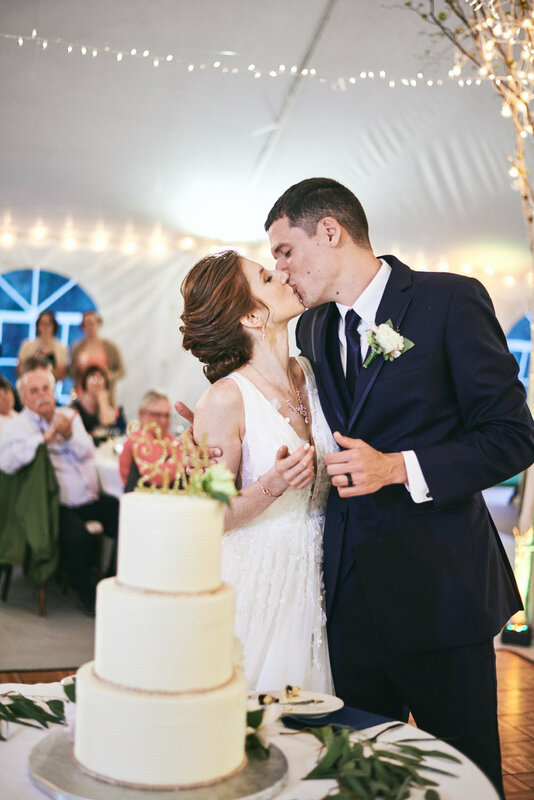 The three-tier wedding cake was decorated with real flowers and eucalyptus leaves and a simple “Mr & Mrs” cake topper. 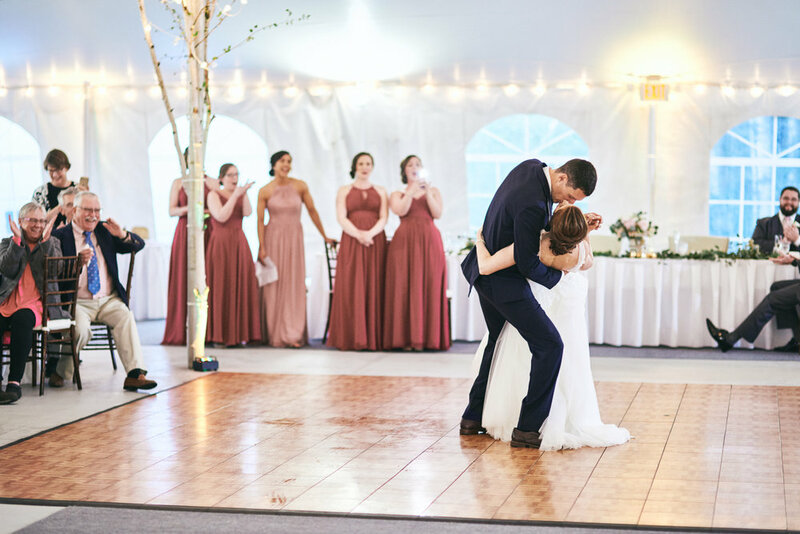 All the traditions of a wedding reception happened perfectly and it didn’t take long for all the guests to forget about the rain pouring down outside and let the drinks start pouring! 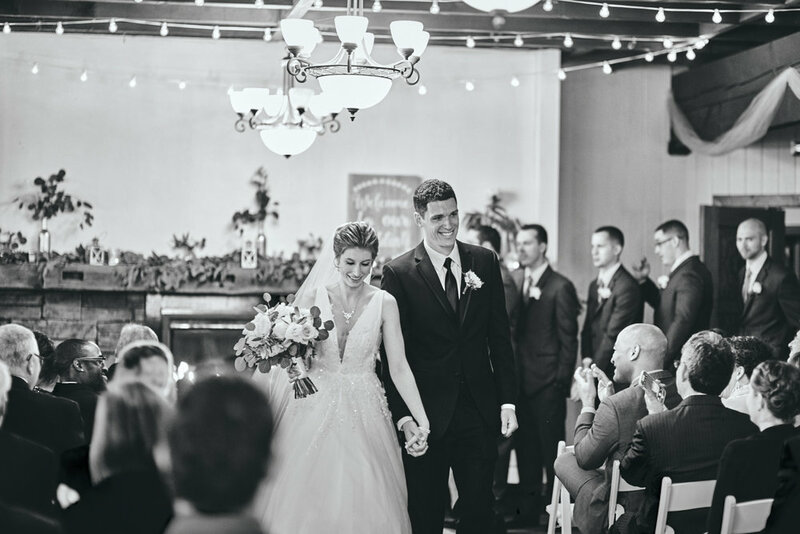 The family and wedding party were all introduced before the bride & groom, who upon entering started immediately into their first dance. 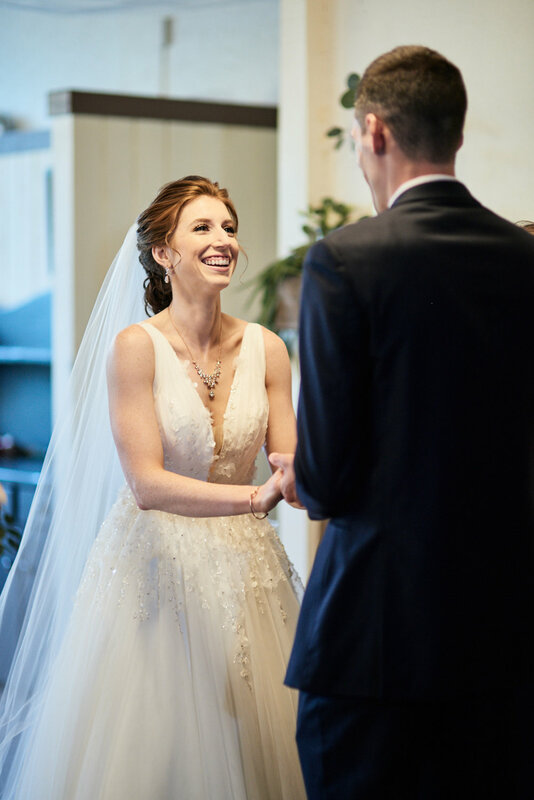 Both the Maid of Honor and the Best Man gave moving (and funny!) toasts honoring the couple and their friendships. 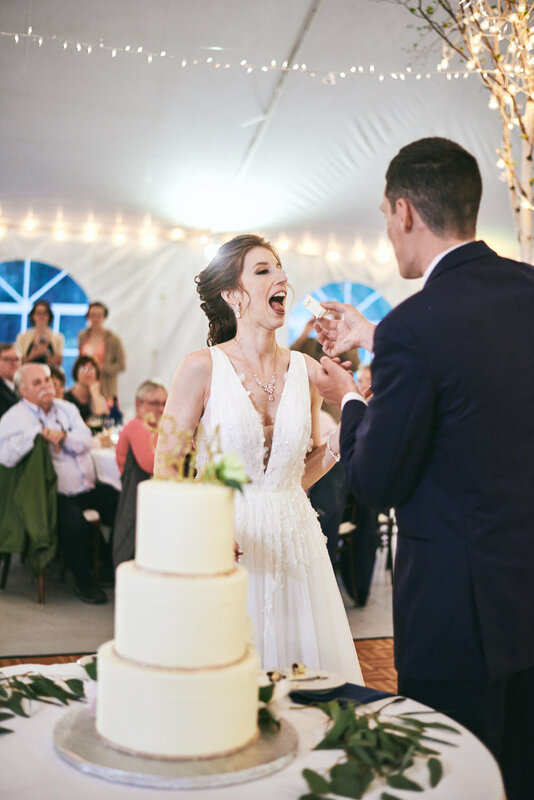 After the speeches was dinner followed by a crowd-pleasing cake cutting that made everyone in the room die with laughter. 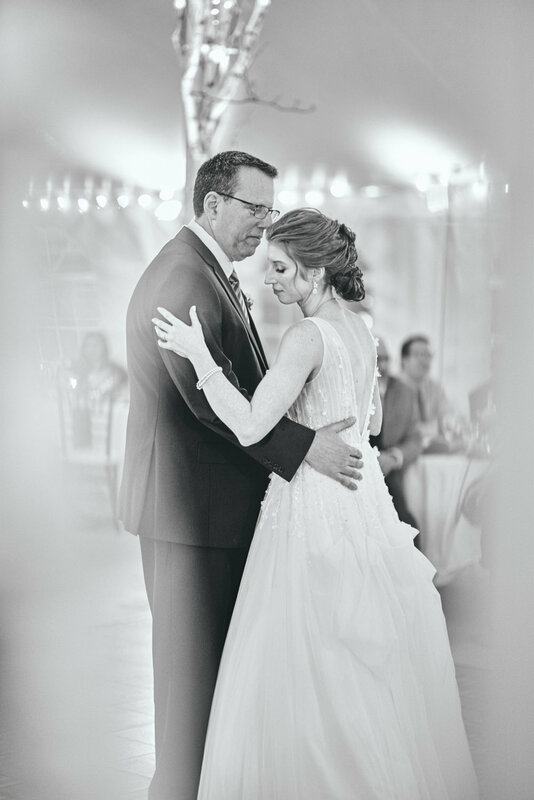 Both the father-daughter dance and the mother-son dance were emotional and after that we got everyone on the dance floor for a giant group photo. 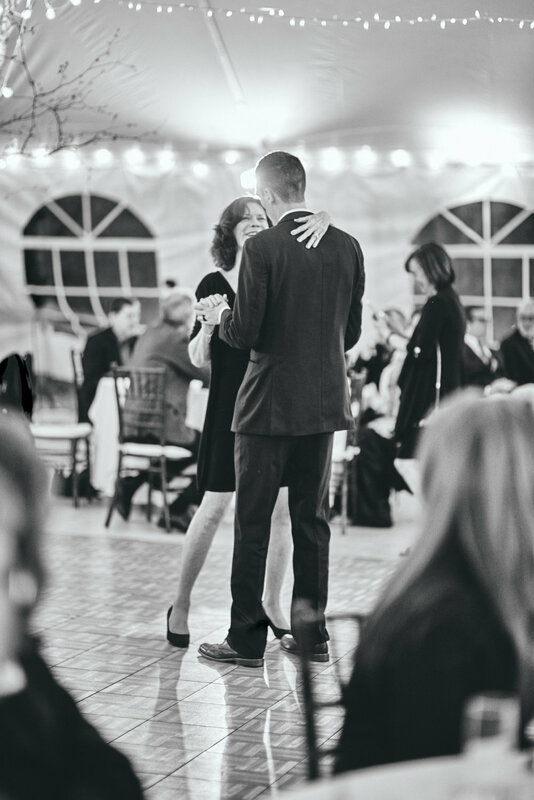 This is such a fun way to officially open the dance floor and get everyone out there ready to have a wonderful night. Before I left, I set up a backlit photo of the wedding couple in the rain with an umbrella. 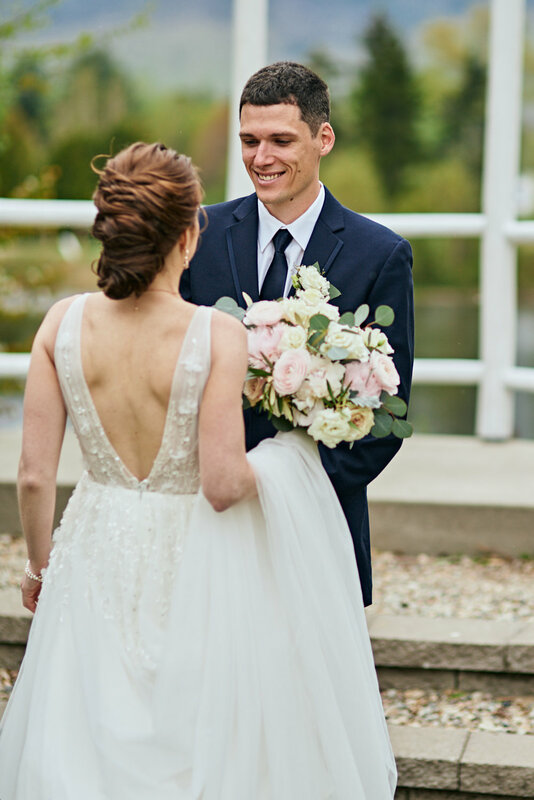 As much as we hope for rain to not be a factor on a wedding day, it can be a pleasant surprise and give us unique photos to remember the day at it was for many years to come!